Analysts said the 7,186,170 ballots the opposition says were cast across Venezuela and around the world on Sunday was an impressive show of support. 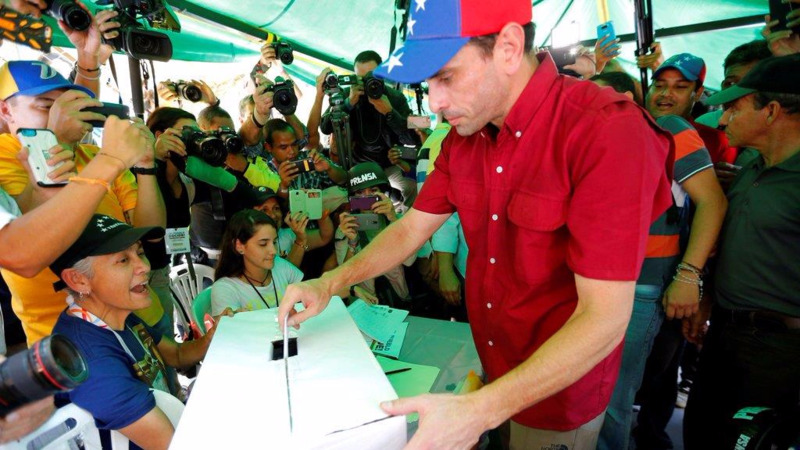 However, it fell short of the opposition's 7.7 million-vote showing in 2015 legislative elections and the 7.5 million votes that brought Maduro to power in 2013. Opposition leaders said that was because it was only able to set up 2,000 polling places in a symbolic exercise the government labeled as illegitimate. "I thought it was going to be more," said Mariela Arana, a 56-year-old school counselor. "But these seven million people spoke and it was plenty." 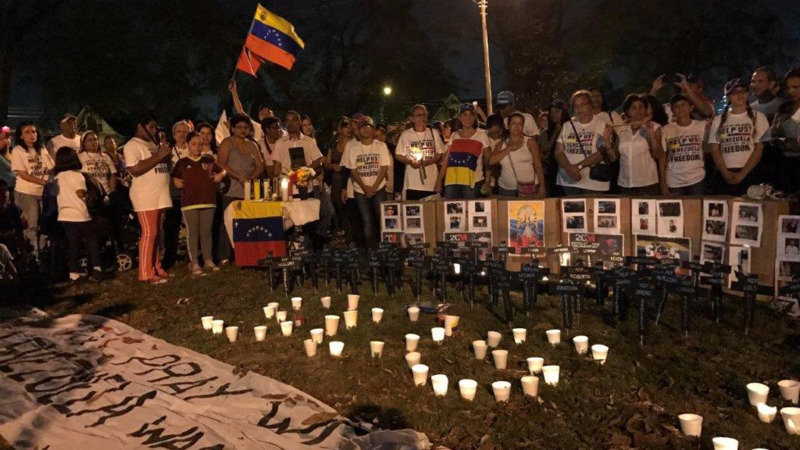 David Smilde, a Tulane University expert on Venezuela, said the result would likely rally the international community even more strongly against the July 30 vote Maduro has called to elect members of the assembly that will rewrite Venezuela's 1999 constitution. The opposition says that vote has been structured to pack the constitutional assembly with government supporters and allow Maduro to eliminate the few remaining checks on his power, creating a Cuba-style system dominated by his socialist party. 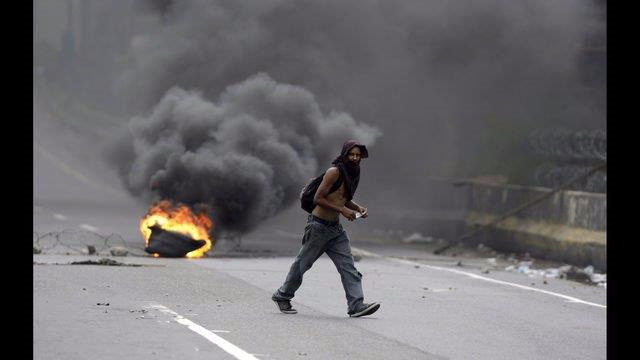 Inside Venezuela, Smilde said leaders of the 20-odd groups in the Democratic Unity opposition coalition were now faced with choosing between tactics ranging from calling a general strike to forming a parallel government to simply working to rally international condemnation of Maduro's plans. "Overall, this vote, I think, makes it difficult for the government to just proceed as planned," Smilde said. "I think it's going to embolden the international community to reject it." The opposition released only turnout numbers Sunday night, not tallies of responses to those questions, although virtually all who voted were believed to have answered "yes" to the central rejection of the constitutional rewrite. 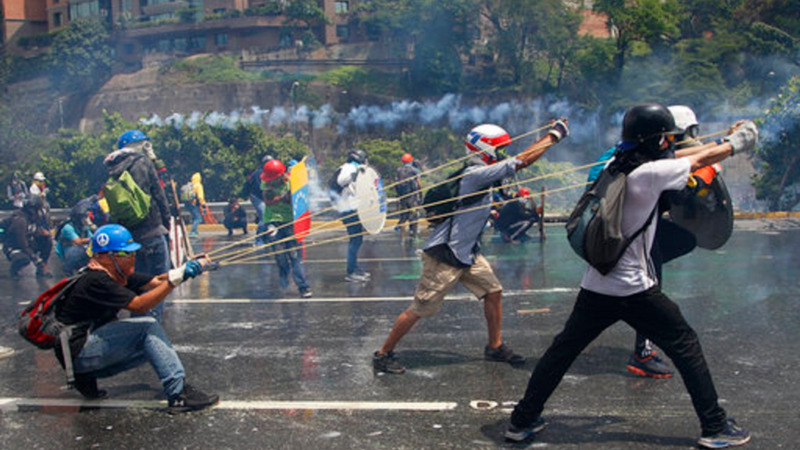 Pro-government paramilitary groups attacked voters outside the Our Lady of Carmen Church around 3 p.m., according to the opposition mayor of the Caracas borough of Sucre, Carlos Ocariz. The chief prosecutor's office said Xiomara Soledad Scott, a nurse, had been killed and four others wounded in the incident. "I'm calling on the opposition to return to peace, to respect for the constitution, to sit and talk," Maduro said. "Let's start a new round of talks, of dialogue for peace." "Our president Chavez supported the poor, the people," said Yveth Melendez, a 41-year-old homemaker waiting outside a school in the south Caracas neighborhood of El Valle, a stronghold of government support that has been weakening in recent years. "Today we're following his legacy, with President Nicolas Maduro ... The constitutional assembly is something that benefits the people." But Isabel Santander, a 67-year-old retired auditor, said she was voting against the constitutional assembly as a protest against the country's economic collapse. "I signed because there's no medicine, no food, no security," she said. "There's no separation of powers, no freedom of expression." Maduro and the military dominate most state institutions but the opposition controls the congress and holds three of 23 governorships. The country's chief prosecutor has recently broken with the ruling party. Opponents of Venezuela's government blame it for turning one of the region's most prosperous countries into an economic basket case with a shrinking economy, soaring inflation and widespread shortages. The government blames the crisis on an economic war waged by its opponents and outside backers.